Jean-Pierre Grosbusch can be proud of his descendants. Jean and Marcel, his sons; René and André, his grandsons; Goy and Lynn, his great-grandchildren, for working in and even developing the fruit and vegetable import and trading company created from humble beginnings in 1917 in Differdange. It was in the middle of the First World War that Jean-Pierre Grosbusch founded and gave his name to his company, active in the import of fruit and vegetables. For many decades, this small business prospered quietly in the shadows of the blast furnaces. In the 60s, Jean and Marcel, two of Jean-Pierre’s sons, stepped on board and soon had new ambitions, starting out in the wholesale fruit and vegetable trade. The expansion of activities forced the company to move for the first time to Soleuvre (in a garage of 20 m2). It was from here that the Grosbusch third generation, René and André, recreated the company in 1982, with zero employees and a truck. Hence Marcel Grosbusch & Fils, a partnership, was born. Two years later, already very short of space, the company headed for Leudelange and moved to Luxembourg City in 1990, to the Cloche d’Or area. It remained there for about fifteen years, growing, between 1990 and 2005, from a staff of 10 to 67 employees with an increase in volume of fresh produce from 3,370 to 16,000 tons. A growth that then justified in 2005 an investment of 6 million euros for a final move to ultra-modern facilities in the south, in Ellange: on a plot of 100 ares. 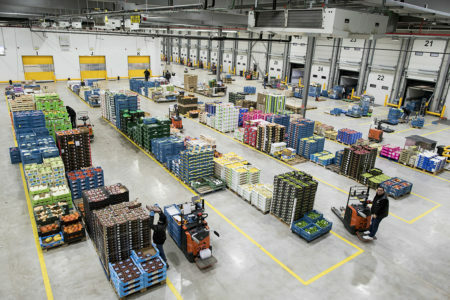 A logistics platform of 4,500 m2 was developed, dedicated to the distribution and packaging of fruit and vegetables. The business then diversified: in 2009 the company created the Fruit @ Office service (1,600 fruit box deliveries to companies in the first year, more than 70,000 today), and the label Vitality (which meanwhile became Grosbusch with its organic offering) of prepackaged fruits and vegetables for supermarkets (more than a million packs today). The firm also extended its influence over the border and now realises some 30% of its turnover in the Greater Region. 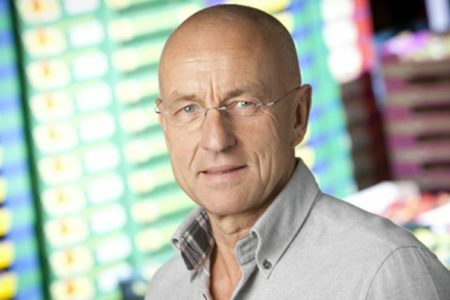 In 2012, it was the turn of René Grosbusch’s children, Lynn and Goy, to join the management of the company, but without difficulty: as per an internal ruling, they needed to gain a first practical experience abroad in the fruit and vegetable sector, but also at all levels of the company. This injection of “fresh blood” coincided with a first extension of the Ellange site to 12,500 m2, grouping all the activities of the company in one place. This new large-scale project, for example, brought the number of loading docks to 57, thus making it possible to send all the deliveries out at the same time. This extension also enabled the opening of an auditorium dedicated to “Grosbusch Kids” to sensitize children of 7 to 11 years to healthy eating and the benefits of fruit and vegetables. 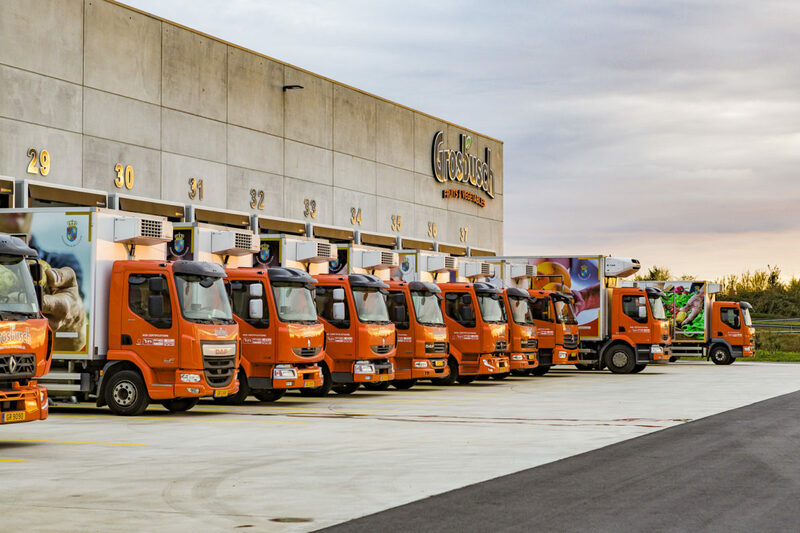 At the same time the foundations of the “Grosbusch Academy” were laid, a learning tool (soon recognised by a diploma) for the handling of fruit and vegetables for supermarket staff, restaurants and for Grosbusch themselves. 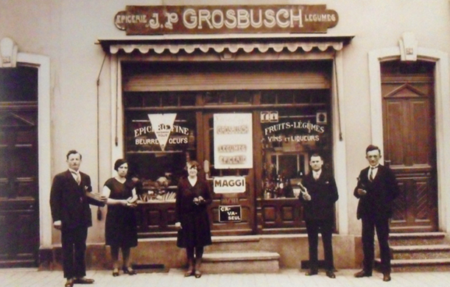 Now 100 years old, Grosbusch today carries some 1,400 product references, served by 410 suppliers located in 36 countries. 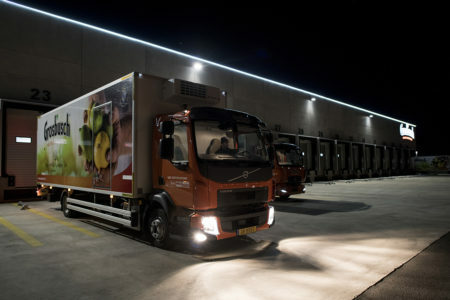 Some 875 daily deliveries (representing more than 20,000 tonnes of fruit and vegetables) are handled by 44 trucks to 1,800 active customers. The company has also already planted a thousand fruit trees at its Ellange site as a pilot project and, by 2020, aims to develop a large-scale orchard and vegetable garden: another way of promoting local production.